The first St Mary’s Rectory was built in 1838. It was damaged by fire and repaired. In 1879, because of problems with rising damp and water, it was decided to build a new Rectory. The kitchen, study and cellar were kept from the first Rectory and now form the ground floor of the west wing of the house. The foundation stone for the new Rectory was laid in 1880. The west wing top floor was added in 1905 to accommodate the large family of the Rector, Arthur Killworth, plus two maids. 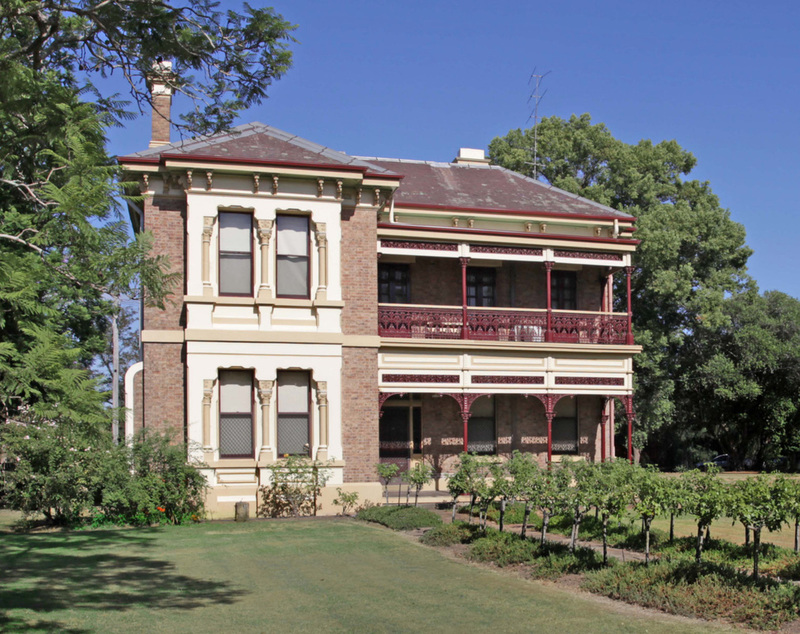 The current Rectory is a perfect example of the stately homes in Maitland in the nineteenth century. Perfectly positioned in spacious grounds and adjacent to the Church, it was designed by the Maitland Architect, George Browne and boasts 12 foot ceilings and a magnificent cedar staircase. All woodwork in the house is cedar. The master bedroom has french doors which open onto a large balcony which is supported by ornamental, cast iron columns. The garden compliments the house. Both Church and rectory present a pleasant oasis in the centre of Maitland and feature in many wedding photographs.